Atypical summer precipitation patterns in the central United States are influenced by sea surface temperature anomalies in the Pacific Ocean, such as El Niño or La Niña, and by those in the North Atlantic. La Niña has been a typical driver for drier-than-normal conditions leading to drought. 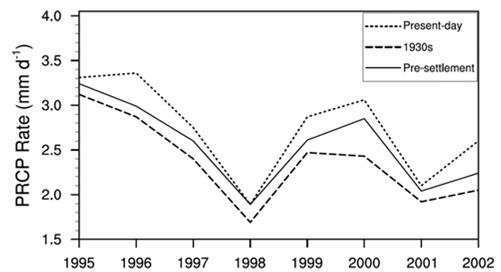 "But we show those anomalies are not the full story," said Qi Hu, lead author of the study and agricultural climatologist at Nebraska. "We show that land cover is equally important in magnitude as sea surface temperature anomalies. It can cause and prolong severe drought, even without SST forces at play." The researchers tracked down available data on land cover in the Great Plains from 1850 to 1935. They found 46 percent of native grasslands and 75 percent of savannas in the Great Plains had been plowed under and converted to dryland cropland and pastures by the early 1930s. They then designed climate-model simulations to quantify the effect of such land-cover change on summer precipitation. "The results all showed the same thing: reduced summer precipitation in the Great Plains" during the Dust Bowl years, Hu said. "The '30s land cover was the dominant cause because there wasn't any strong or persistent La Niña in the '30s, and the North Atlantic was fairly quiet, too." The researchers hypothesize that the change in land cover altered the surface pressure distribution from the central United States to the east, effectively weakening the jet stream that brings moisture to the Plains from the Gulf of Mexico. "It undercut the moisture supply to the region," Hu said. "With no supply, there was no rain." The intensity of the Dust Bowl drought worsened, eventually causing nearly 2.5 million people to flee the drought-stricken states of Texas, New Mexico, Colorado, Nebraska, Kansas and Oklahoma in the largest migration in American history. Hu said further research would be needed to gain more insight into what initiated the drought. 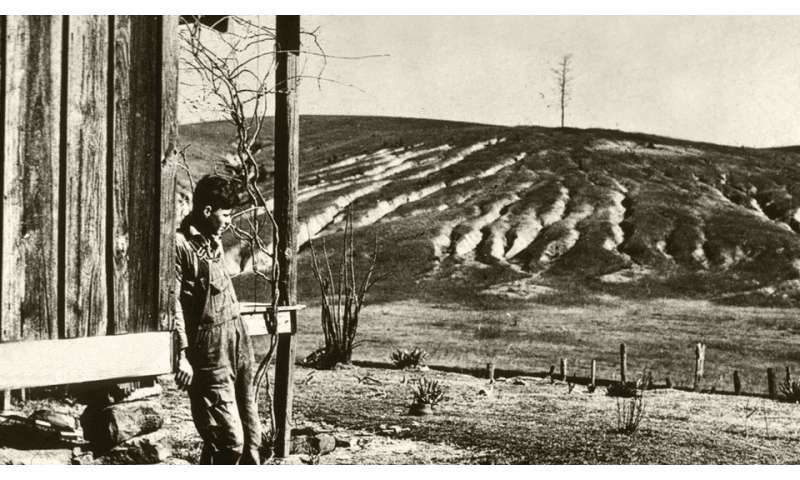 The researchers recommend carefully considered policies on land use to prevent future disasters of the Dust Bowl's magnitude. New model projects an increase in dust storms in the U.S.